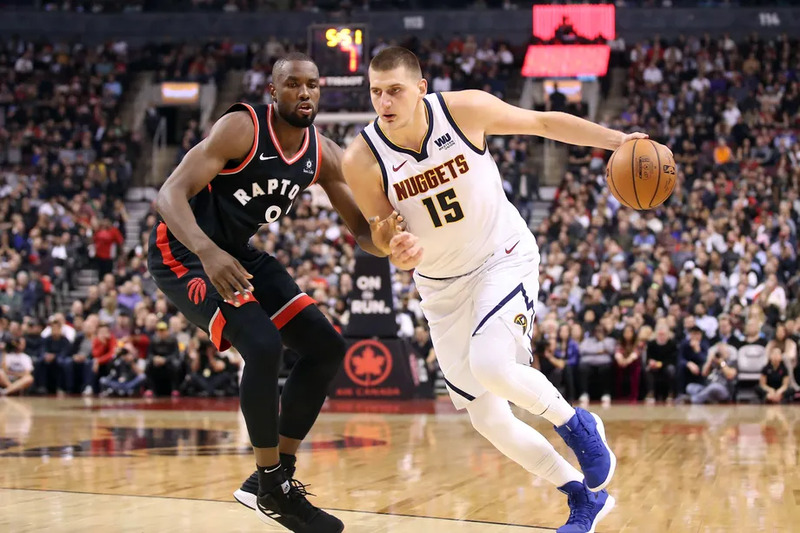 The two best teams in the NBA faced off on Monday night, with the Denver Nuggets defeating the Toronto Raptors, 106-103. This was also a match-up between the two reigning conference players of the week, with Kawhi Leonard in the east and Paul Millsap in the west. Jamal Murray returned to his home province and scored 21 points, while recording eight assists and seven rebounds. Murray grew up in Kitchener and was drafted by the Nuggets in 2016. Nikola Jokić recorded a triple-double by scoring 23 points, providing 15 assists, and grabbing 11 rebounds. Jokić was fouled late in the fourth quarter, scoring both free throws to seal the game. One of Jokić’s 15 assists was quite a sight. What people are talking about is the shot he took when the foul was committed, although it did not count. Toronto’s backcourt made up of Kyle Lowry and Danny Green were quiet on the night, combining for only 14 points. Kawhi Leonard led scorers with 27, Serge Ibaka had 15. The Raptors struggles continued, as they shot just 26.8% from three, making only 11 out of the 41 attempted. When things don’t work out from beyond the arc, driving to the basket is the way to go. Pascal Siakam continues to do so, using his signature spin move. Toronto’s win streak was halted at eight, while Denver’s win streak grew to six. The Raptors are back at Scotiabank Arena on Wednesday night when they take on the new-look Philadelphia 76ers. Tip-off is set for 8 p.m. Featured image from Tom Szczerbowski/USA Today Sports.